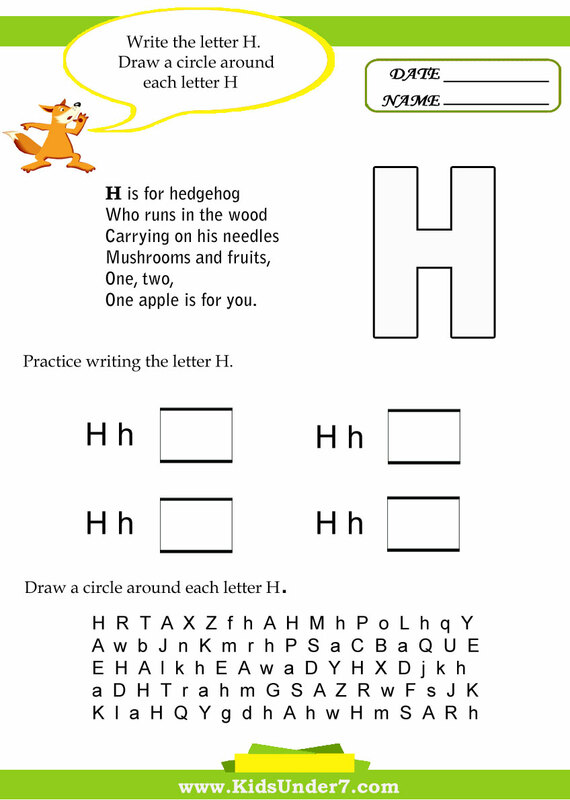 1.H is for horses. Practice tracing slanted lines. 2. 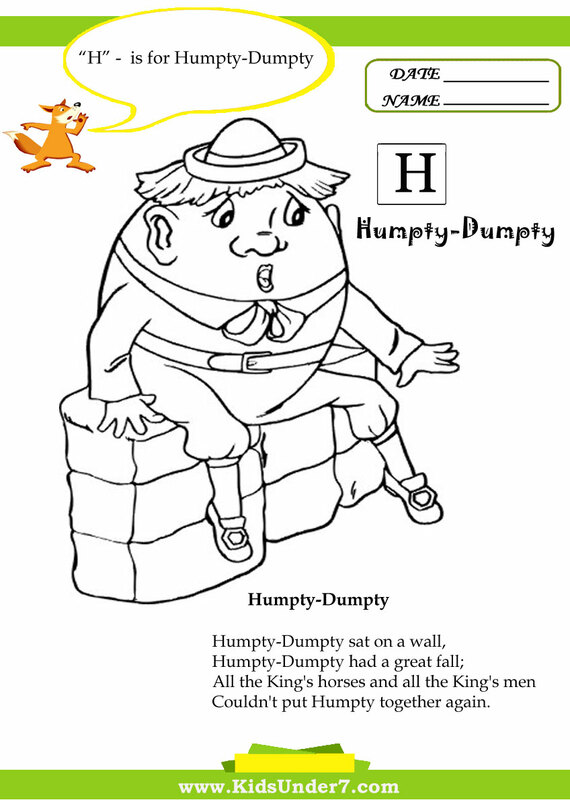 H is for Humpty-Dumpty. 3. 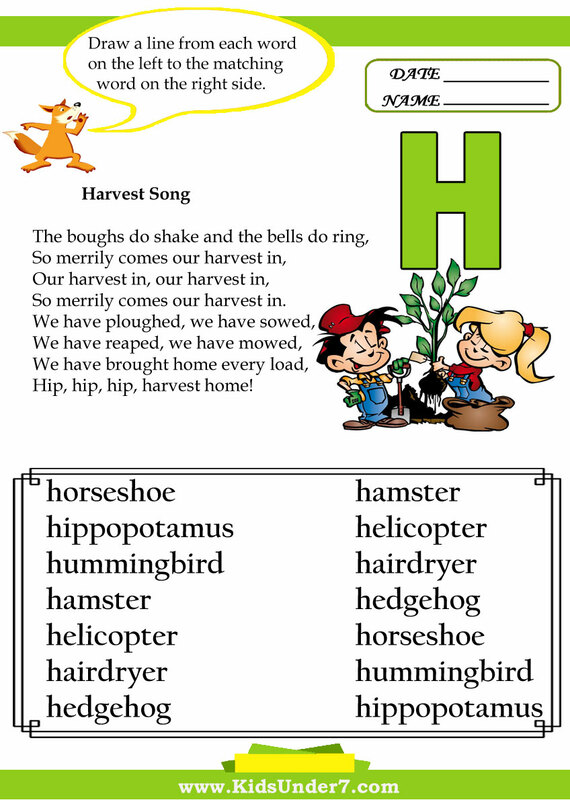 Harvest Song rhyme.Draw a line from each word on the left to the matching word on the right side. 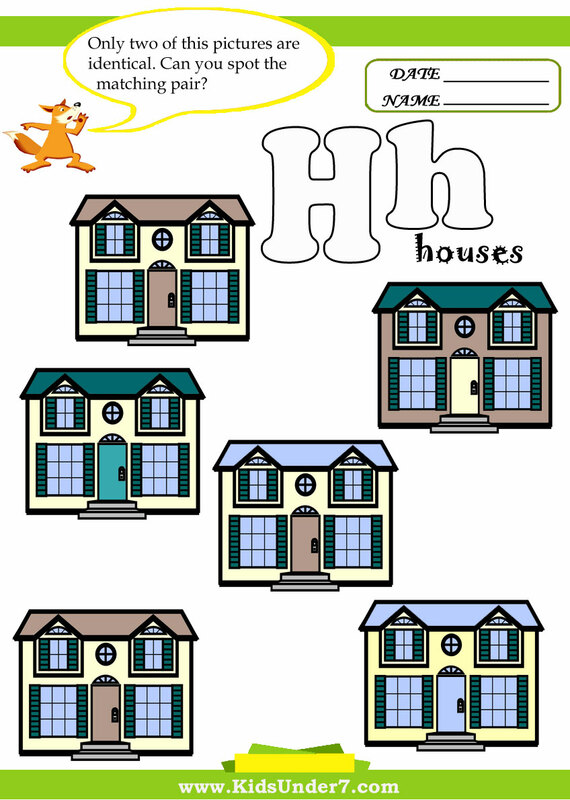 4.Find and circle two identical houses. 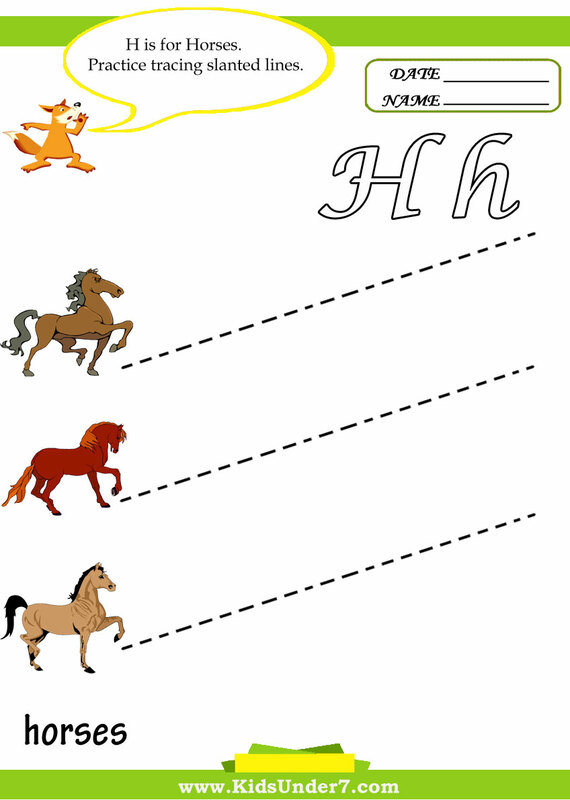 5.H is for Horses. 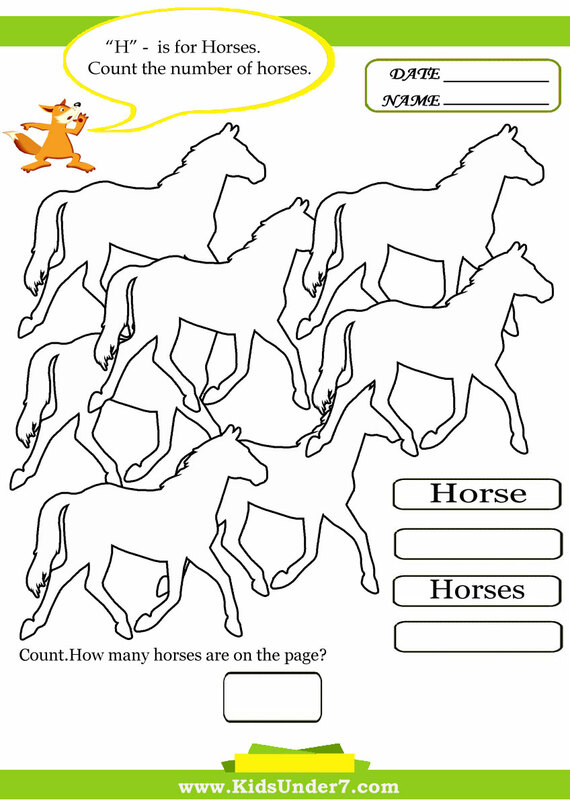 Count, how many horses are on the page? 6.Follow the lines with your pencil. 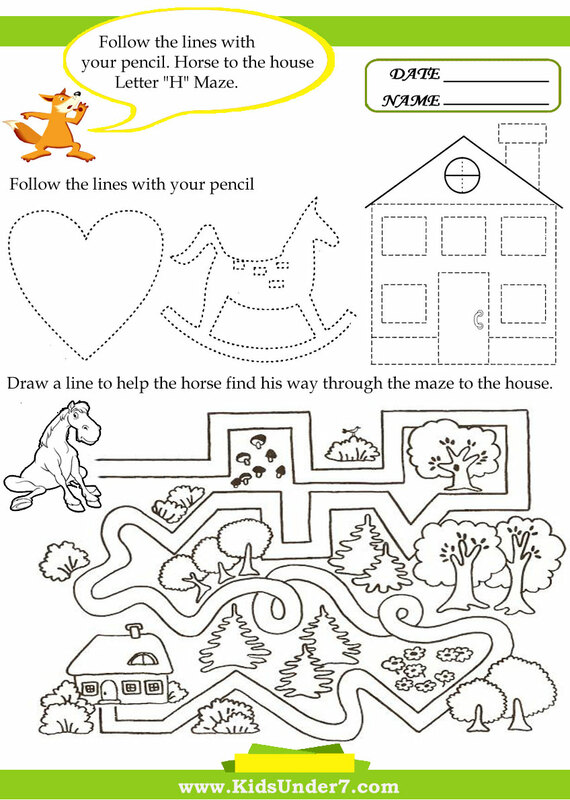 Horse to the house Letter H Maze. 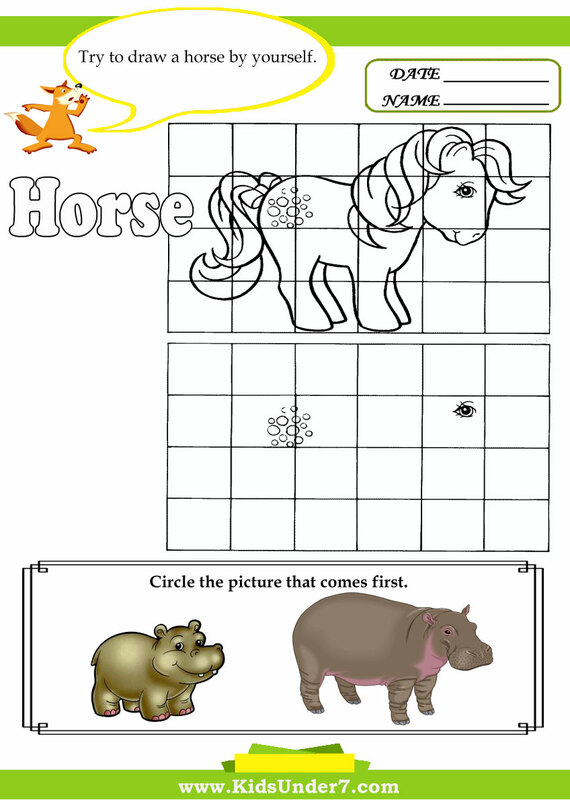 7.Try to draw a horse by yourself. Circle the picture that comes first. 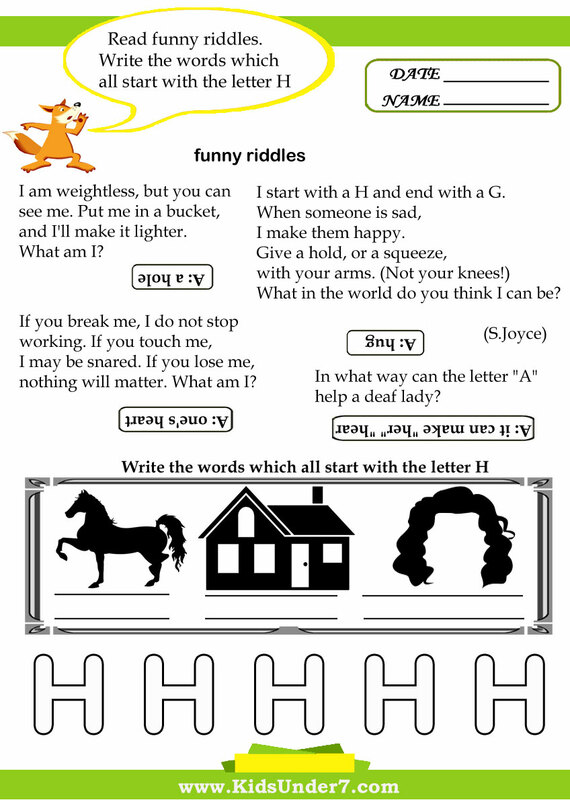 8.Read funny riddles.Write the words which all start with the letter H.
9.Write the letter H. Draw a circle around each letter H.
10. 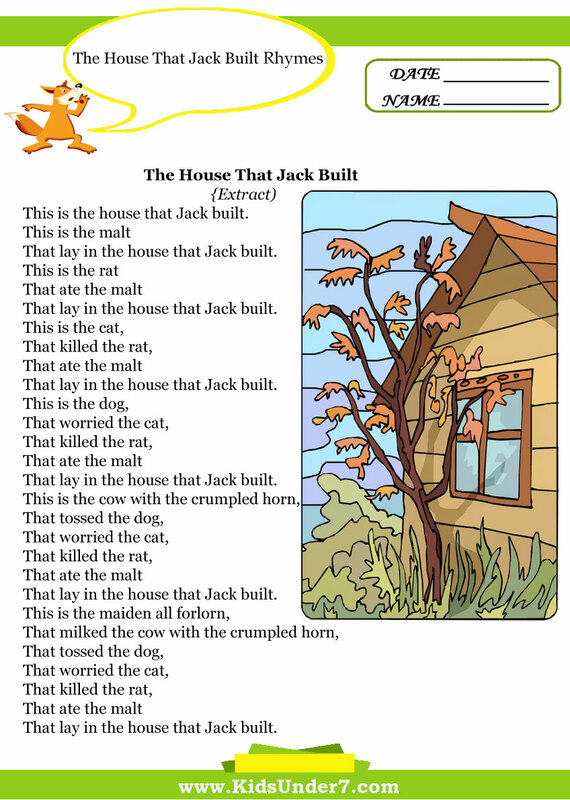 The House that Jack Built rhymes. One apple is for you. So merrily comes our harvest in. Answer: it can make "her" "hear. I start with a H and end with a G.
When someone is sad, I make them happy. What in the world do you think I can be?